James Whyley (b Newton/Elston, Notts c1838) married Alice Lord (b Marston, 1807) in 1838. They lived in Marston (where was a carrier) before moving to Foston in the 1850s. They seem to have lived in the Black Horse, Foston where their son John became the licensee. James’ job was recorded as an agricultural labourer (1861), an innkeeper (1871, and a cottage gardener/butcher (1881). He died in Foston in Feb 1900. Mary Anne stayed at home until she married George Gilbert in 1885. He was an army pensioner and worked as a groom. They lived in Church St, Foston. John Whyley lived with his parents in Marston and then at the Black Horse in Foston. He also worked as a castrator. In Aug 1865 he was charged with permitting drunkenness and disorderly conduct at the Black Horse after his neighbour Robert Winter complained of noise at 1am. The constable said that one of the rooms of the inn was nearly full and many of those present were drunk. The others involved said that it was a meeting of new club, which had started late due to the harvest; although there was some singing afterwards. As there was conflicting evidence Whyley was let off with a warning. In Apr 1877 John Whyley was charged again with permitting drunkenness, but his licence was wasn’t endorsed as it was a first offence. Thomas Lord of Marston was accused of being too drunk to stand up. In Jun 1877 Whyley was charged with serving drink to William Ingram, who was drunk at 10am. The case was dismissed. In 1877 John married (Mary) and moved to Claypole, where he continued as a castrator. In 1881 they were in Osterfen Lane, in 1891 they were in Rectory Lane. Walter Whyley was an agricultural labourer. In 1884 he was fined for refusing to quit the Thorrold Arms (landlord John Richardson) at Marston. In 1888 he was accused of poaching at Marston with William North after he was seen shooting at a rabbit or hare. Walter died in 1896. In 1911 James had left home, but Fanny had stayed as housekeeper and his father George (a skin dealer again) was living with them. In 1918 they were in Rose Cottage, Foston. Fanny didn’t marry and died in 1946. James Whyley enlisted in the Notts and Derby Regiment (Sherwood Foresters) at Newark. He later transferred to 50th Battalion, Machine Gun Corps (based at Belton Park). He was invalided home from France twice, once with frostbite and once with a wounded wrist. 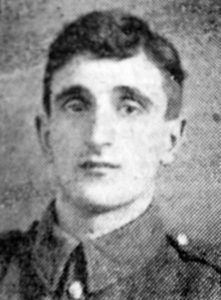 He was posted missing during the Battle of the Aisne on 27th May 1918, but was presumably captured because he was later reported to have died aged 25 on 3 Oct at Trelon, the site of a hospital behind the German lines, where many POWs seem to have died from dysentery and poor treatment. He was buried in Glageon Communal Cemetery. In 1911 George (14) was working on a farm and living at home in Foston with his father, grandfather and step-sister. In the Great War he enlisted in 6th Battalion Lincolnshire Regiment. In March 1916 the Battalion was involved in action on the Ancre, in the area where the 1916 Somme offensive had been halted by a harsh winter. A few weeks later, on 12th April 1917, George died of pneumonia (aged 20) and was buried at Doullens Communal Cemetery, North of Amiens.